While in the Northern capital it is difficult not to be seduced by the huge selection that provides this cultural metropolis. A huge number of museums, theaters, exhibition centers and platforms, as well as Nightclubs, restaurants, bars and cafes, it would seem, can easily help with pleasure and even to spend the evening not only the weekend, but the usual "gray" of the working week. However, the status of cultural capital no wonder staged a strong rally over the city on the Neva. It turns out that there is a unique theatrical entertainment centers. an Example of this unusual place is located near Ligovsky Prospekt. He's not the first of its kind, although in modern times, must have appeared one of the first in St. Petersburg and possibly in Russia. as it is not only a successful commercial theaters in the country, but one of the places where you will want to come repeatedly. And there are a lot of reasons: the cozy interior, friendly staff, excellent menu and, of course, the show itself. Which I must say involved some of the best actors, singers and musicians of St. Petersburg, but it is possible and safe to speak and all Russia. Among these masters can be noted Migitsko, Sergey, Alexey Zharkov, Olga Kabo, Irina Alferova. Various programs like in the evenings, weekdays, weekends and holidays. Each day has its own program and she almost repeated. To see the repertoire on the official website of the theatre. 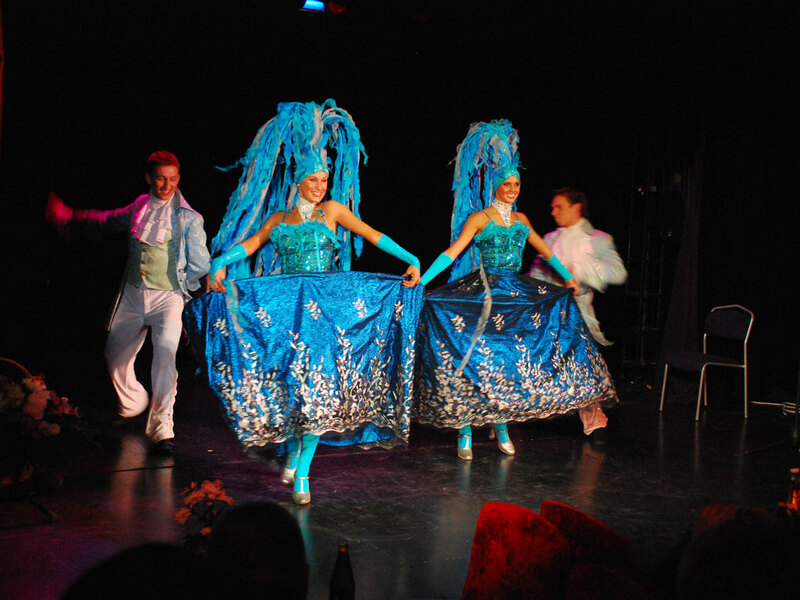 in addition to the usual repertoire in the theatre hosts a variety of events dedicated to various events. Among which different skits, programs, including Christmas and new year, birthdays, anniversaries corporate parties, etc You can spend a delightful Christmas and new year holidays or to celebrate your birthday or Anniversary celebration that will be remembered for a lifetime and in this there is no doubt. In any event, you can visit or even order, of course, given the financial possibilities. The cost of a visit depends on the program, season, and day of the week. If you are only planning your visit to Saint-Petersburg campaign theatre centre visit. Address: St. Petersburg, Kolomenskaya str., 43. M. Ligovsky prospectus. admission ticket: from 900 rubles (depending on repertoire).